So, you’ve done it. You’ve researched your options, marked out a protected space in the backyard, set up your inflatable hot tub, and enjoyed your first long, relaxing soak. But now, it’s time to get out. Or maybe it’s getting too cold to sit in the hot tub for long. Now that it’s time to leave, how do you best protect your spa? The answer is simple enough: A cover! These are protective barriers that prevent the “outside” from coming “inside” of these products. 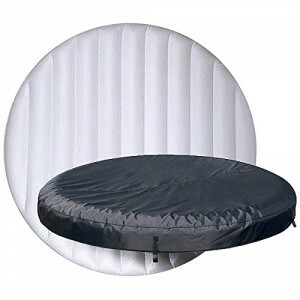 Hot tub covers are a must-have item for everyone who wants their spa to last years to come, and who want to take good care of their investment. But is such a cover really worth the extra cost? And what exactly do they keep out? Can it really be that helpful? Read below, and you’ll find the answer to all of these questions, and more. 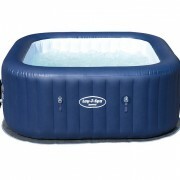 If you are investing in a high quality inflatable hot tub, then you should also invest in a cover for cleanliness’ sake. Because inflatable spas are normally kept outside, while traditional hot tubs can be set up either indoors or out, special care has to be taken to ensure that they remain as clean and sanitary as possible. There are several reasons behind this. One is the general aesthetics: No one likes a dirty spa, and it can’t really be enjoyed. The second reason has more to do with your own health and well-being, and how using a filthy spa can jeopardise that. When there is no cover, dead insects, as well as small amphibians and reptiles (and, on occasion, even mammals) may end up soaking in your tub before you do. That’s never sanitary. Besides wildlife, you may also find plant matter and debris in your spa. This can lead to a gunky, slimy build up as the water breaks down the leaves, twigs, or other plant parts. Molds and fungi are also common in hot, moist environments, which makes an uncovered hot tub the perfect breeding ground for these nuisances. So, if you want to avoid unwelcome companions or an unappealing hot tub “garden”, then investing in a good, sturdy cover is something that you’ll need to do. Filters are one of the purchases that, if you have an inflatable spa (or a hot tub or pool of any kind, really), you’ll have to make on a fairly regular basis. A good filter is the barrier between all of the nasty things that end up in your water, and yourself. Normally, filters aren’t terribly expensive (a normal median price is between £22-£25). But, just like with everything else, you want to be able to use them for as long as possible before replacing them. 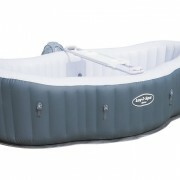 Inflatable spa covers can certainly extend the life of your tub’s filter! Because hot tub covers help keep out insects, leaves, and other detritus and debris, it means less work for your filter. Filters that have to remove larger bits of matter from the water tend to become clogged, and will stop performing at peak levels quicker. But an inflatable hot tub cover will never lose its ability to keep unsavory things out of your water. Because of this, you won’t need to replace the filters as quickly as you would otherwise, saving you time and effort in maintaining it. 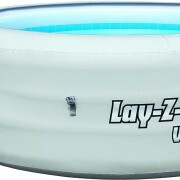 Generally speaking, saving money is a top priority for people who buy inflatable hot tubs. 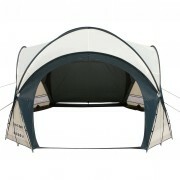 They cost far less to set up and maintain than their more permanent counterparts. 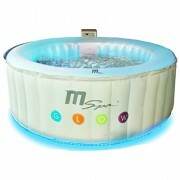 Because of this, many inflatable spa owners pride themselves in the frugality of their decision. So, if you are looking to save even more money, why on earth would you want to buy something else? While hot tub covers cost extra, you’ll find that they pay for themselves (and, perhaps, go a bit further than that) in no time at all. 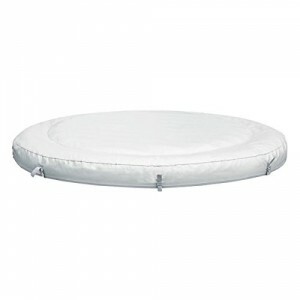 Buying a well-designed tub cover boosts the valuable of your inflatable hot tub by a great deal, and will cut down on the maintenance that it requires. As mentioned above, they can cut down on the amount of filters that you may need to purchase. They can also help protect the water inside of your tub, so that you don’t have to drain and refill it as often. This will save you money on your next water bill! One of the least-recognised and best money-saving perks, however, is that a hot tub cover will keep your water warm for longer. Heating up water to the right temperature (for many Lay-Z-Spa inflatable tubs that is 40 degrees Celsius) over and over again can really bump up your electric bill. But, with a good cover, more of that heat can be retained. You won’t need to reheat the water as often! This is perhaps the most well-known and important reason to invest in a hot tub cover. Safety is a big concern of not just those with small children, but who happen to live in the same area as small children, as well. Scarcely a year goes by without the news showing that a child has drowned in a pool or spa, whether it is their parents’ or their neighbors’. And it isn’t just children: Certain pets can quickly find themselves in trouble if they stumble into a hot tub. But hot tub covers are the perfect way to counteract this danger. These tub covers block off access to the water, so that it no longer poses such a serious threat to kids and pets alike. To ensure that this remains true, you’ll want to buy a cover that is well-fitted to your inflatable spa, and that is hard to remove. Remember: It’s better to be a bit difficult for you to remove than easy enough for a child to remove!